IONIT’s Patent-Pending Burner Network Module enables service providers to remotely view the status and critical operational data of fuel burners at customer locations. Detailed measurements, such as time-to-fire and CAD cell resistance, let technicians know when service is needed, usually long before a failure occurs. 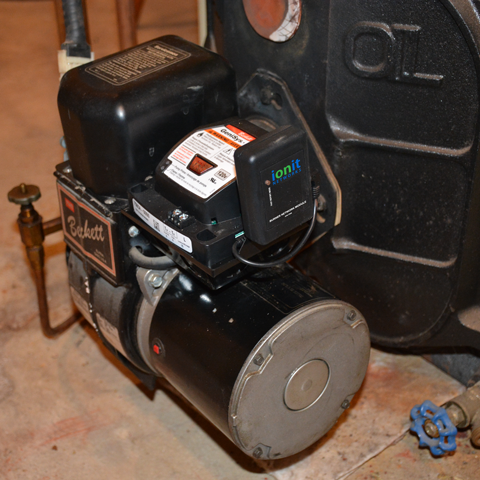 It also provides immediate notification if a burner lockout occurs (soft or hard), along with information about the lockout cause and actions taken by the homeowner to recycle the burner control. Another useful feature is the BNM is the ability to log every burner firing cycle, which includes the precise minutes of flame-time. IONIT can accurately compute fuel consumption since the last delivery. This capability can be used to effectively determine when the next fuel delivery is required, which serves to effectively monitor the level of both above, and underground tanks. 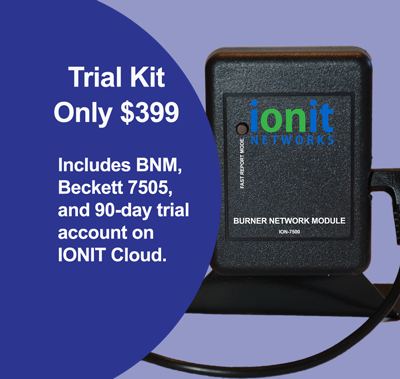 Coupled with the Ionit Cloud software the BNM can be configured to automatically provide email or text alerts if a threshold is exceeded or a lockout occurs. 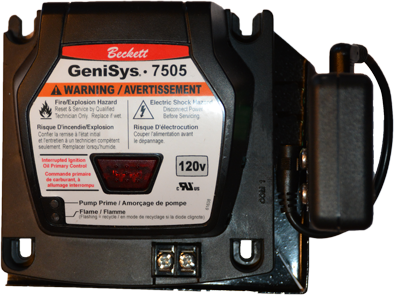 IONIT's BNM is currently available for the Beckett GeniSys® 7505 series oil burner controller.